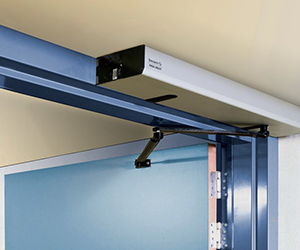 Besam is an international supplier and manufacturer of automatic entrance equipment for commercial, health care and residential buildings. 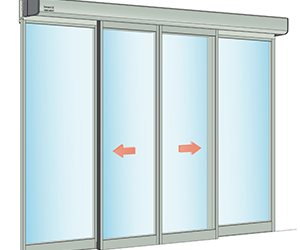 The present product portfolio includes automatic swing doors, sliding doors and revolving doors, as well as air curtains and dedicated service and maintenance. 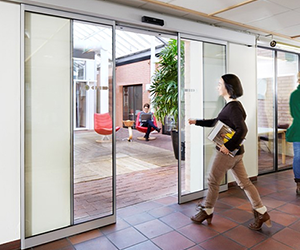 Sleek styling and adaptable configurations create a welcoming and functional automatic sliding door entryway. 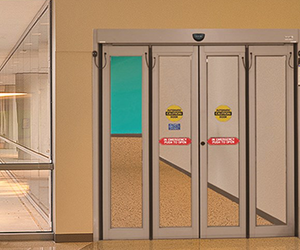 Swing automatic doors provide flexibility, efficiency and convenience for both interior and exterior entrances. 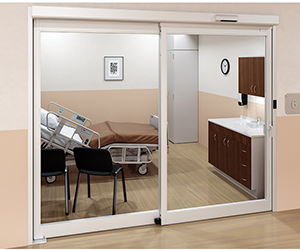 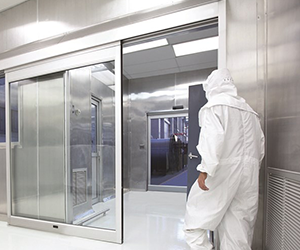 The ASSA ABLOY VersaMax 2.0 Touchless sliding ICU door system automatically opens for..